Land package organised by XA Travel company (licenced by the Tourism Council of Bhutan), led by Michael Lee, a Leica Akademie instructor and qualifed UK Master Photographer (MPAUK), who was invited by the Tourism Council of Bhutan and Drukair Royal Bhutan Airlines to photograph Bhutan in 2014; he has led several photography groups in Bhutan. 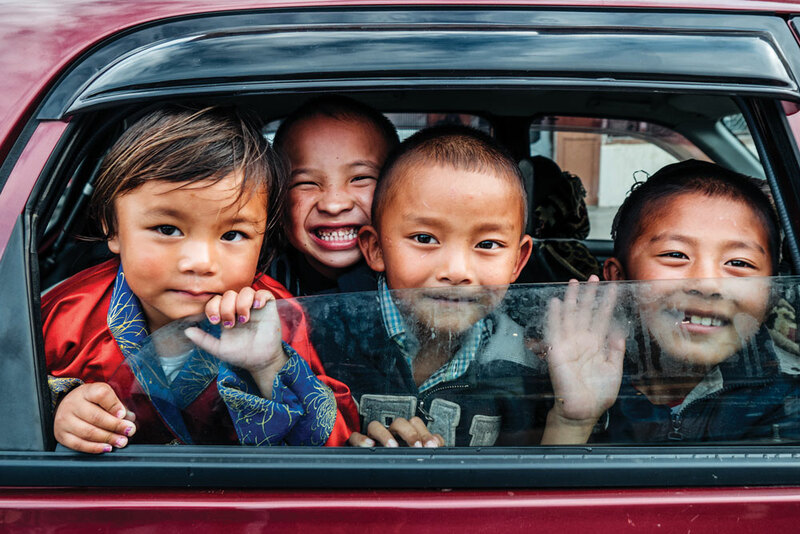 All entrance fees and road permits, including the Bhutan government daily tariff. Breakfast, lunch and dinner and mineral water. Six nights’ accommodation at comfortable hotels (combination of 3-star and boutique hotels). A private vehicle with an experienced driver and a licensed English speaking guide. Travel insurance for the duration of the trip. International flights to Paro, Bhutan. Additional food and beverages (including alcohol) not included in meals. Any other incidental expenses incurred. You’re immersed in the happiest country in the world! 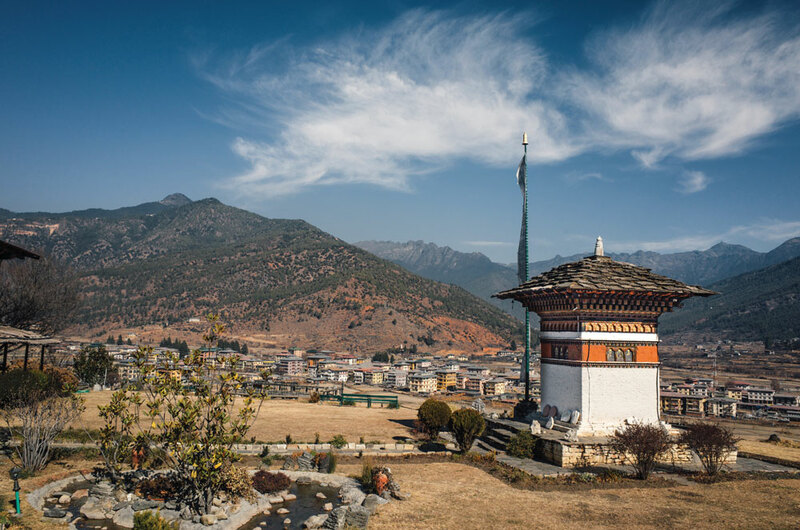 Let Bhutan’s stunning capital city of Thimpu – at a lofty 2,235 metres above sea level – take your breath away, then cross the Dochula Pass and a 160m suspension bridge with our experienced guides. 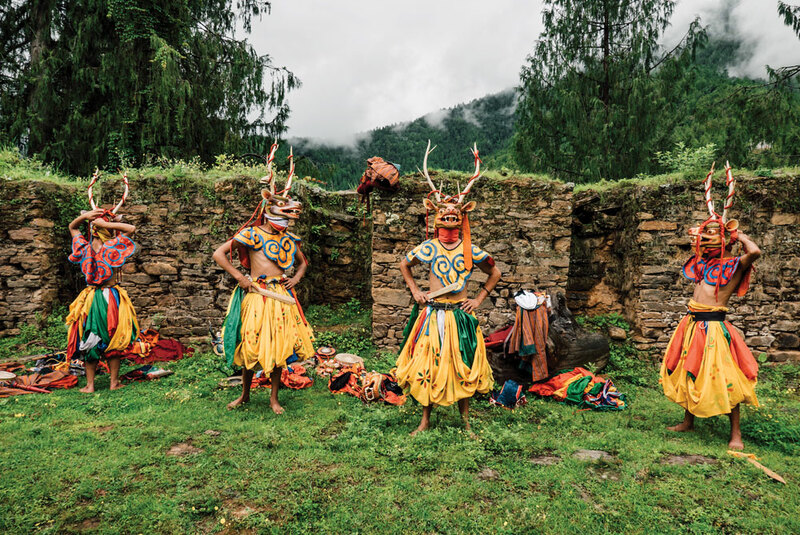 Snap the beautiful puja ritual and hundreds of monasteries in traditional Bhutanese architecture, before traversing to the country’s highest driveable point in an untouched traditional village. *10% discount on past participants. At 2,235 metres above sea level, you will immediately feel the effects of the high altitude upon arrival in Paro, which is home to many old monasteries and temples. We visit Kyichu Lhakhang, the oldest temple in Bhutan, and the Iron Bridge of Dumtse Lhakhang, built by a monk in 1433. We transfer to Thimphu, visit the farmer’s market and Tashichho Dzong, which houses the throne of the king, followed by the Kuenselphodrang Nature Park. We overnight at Thimphu. We embark on a tour of Thimphu, beginning at the Motithang Takin Preserve, a former zoo that is home to the takin, or gnu goat. The king decreed that cooping up animals went against Buddhist beliefs, so they were released. The takin had difficulty adapting, so the preserve was established. We drive up to the Buddha Dordenma statue, and visit the Jungshi Handmade Paper Factory, followed by the National Memorial Chorten. After sunset at Changangkha Lhakhang, we spend the night in Thimphu. We drive through the Dochula Pass, which has 108 memorial chortens built to commemorate Bhutan’s victory over Indian militants. We also visit the Chimi Lhakhang temple and Punakha Dzong, nestled at the fork of two rivers. A walk along the 160-metre-long Pho Chhu suspension bridge presents spectacular views of Punakha Dzong and the Pho Chhu Valley. We visit a nun monastery, and will have the unique opportunity to photograph the puja ritual. We overnight at Punakha. We visit the Punakha Dzong, which boasts spectacular displays of Bhutanese architecture surrounded by jacaranda trees. Built in 1637, the six-storey structure is the second oldest and second largest dzong in Bhutan. In 2011, it hosted the royal wedding of King Jigme Khesar Namgyel Wangchuck and Queen Jetsun Pema. We will also visit one of the community schools, and will hike to the Khamsum Yulley Namgyal Chorten, built over a period of nine years. We overnight at Paro. At 3,988 metres, Chele La Pass is Bhutan’s highest driveable point, with the Paro Valley on the one side and the Haa Valley on the other. The latter was only opened to tourists in 2002, and it remains the least visited valley in Bhutan, leaving Haa’s traditional way of life undisturbed. 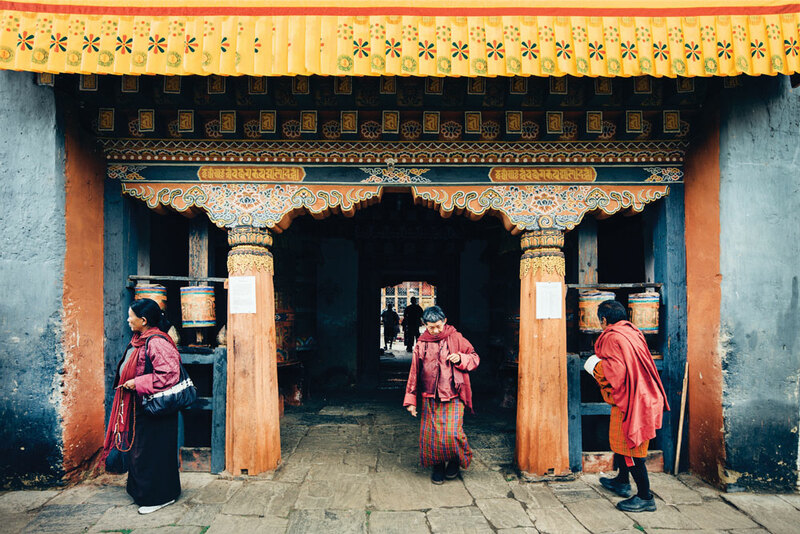 We visit Katsho village, followed by Lhakhang Nagpo, which was established by King Songtsen Gampo in his mission to build 108 monasteries in a day. We head back to Paro for the night. We hike to Paro Taktsang (the “tiger’s nest”) – one of the most photographed monasteries in Bhutan. Accessible only by foot, this sacred site is situated more than 3,000 metres above sea level. This is where Guru Rinpoche – also known as Padmasambhava, the father of Bhutan Buddhism – is said to have flown on the back of a tiger to meditate in a cave for three years. Flanked by colourful prayer flags, we will enjoy breathtaking views of the Himalayas. We overnight at Paro. Participants take their respective departures home, flying out from Paro.